We're taking our own advice. Time to recycle and repurpose! Check back soon. 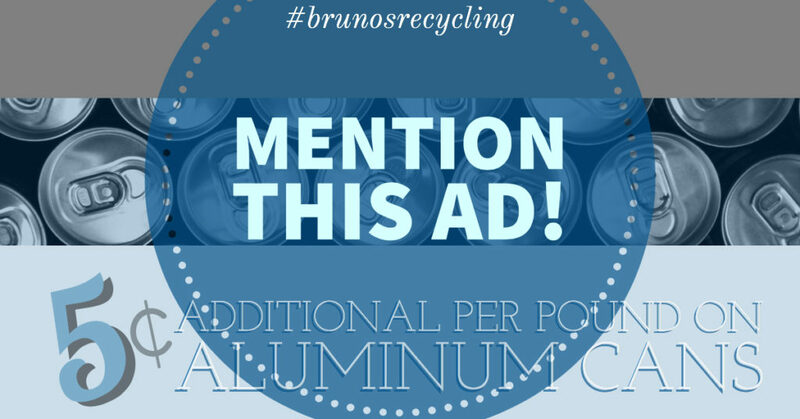 We purchase CRV materials and scrap metals in all forms and quantities such as aluminum cans, glass, plastic, iron, stainless steel, brass, copper, aluminum, nickel, and more. If you're unsure whether or not we will accept it, please contact us. To talk to one of our knowledgeable staff, please call the main office during normal business hours at 559-233-6543. For inquiries, please send us a message to ntosi@brunosiron.com.